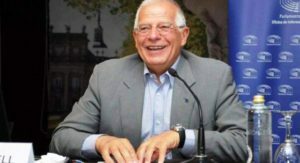 The Spanish government has inflicted this weekend, through the voice of its foreign minister, José Borrell, a scathing blow to the Polisario Front and its Algerian mentors, saying that “Spain is not an administering power in Western Sahara”. Besides, the head of the Spanish diplomacy reiterated his country’s support to the efforts of the UN Secretary General and his personal envoy for the Sahara, Horst Köhler, to find a realistic, political solution to the conflict and rejected any legal responsibility in the Moroccan Sahara, contrary to the allegations of the leaders of Algiers and Polisario. He made it clear that Madrid “defends and supports the European Union’s agreements with the Kingdom of Morocco,” referring to the Farm and Fisheries Agreements. The renewal of these protocols that cover the Moroccan Sahara is scheduled for next November. The Polisario, which seeks to involve Spain in the Sahara conflict at any cost, was quick to “cry scandal” in response to Borrell’s statement. The separatist front’s representative in Madrid argued that “there is no logic in the remarks of the Spanish minister, when he says that his country supports the efforts of the UN and defends the agreements of the European Union (with Morocco), which are in contradiction with the rulings of the European Court of Justice “. José Borrell’s remarks come following the rejection by the main Spanish parties, the ruling PSOE, the People’s Party (PP, right), and Ciudadanos (center-right), of an initiative of the far-leftist party, Podemos, calling for the holding of a pro-Polisario meeting in the “Constitutional Hall” of the Congress of Deputies.